In 2014, the Pararoos, Australia’s national football team for athletes with cerebral palsy, acquired brain injury or symptoms acquired from stroke had all of their $175,000 of funding cut by the Australian Sports Commission as part of their Winning Edge policy. As a result, the team now receives funding from a tax-deductible fund established by the FFA and the Australian Sports Foundation, while also hosting their own fundraising initiatives. One of these initiatives was ‘The Pararoos’ movie premiere, directed by Tom Ferguson. 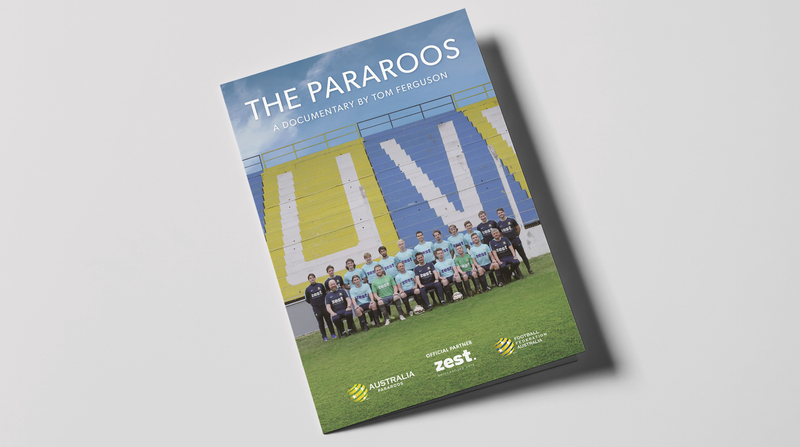 Film maker Tom Ferguson has been embedded with the Pararoos for almost two years in the build-up to the IFCPF World Championships in Argentina. His independently produced film shares the Pararoos journey and the vision that football is more than just a game. On Monday 4th June, supporters came together to watch this film, to hear their stories and to spread their message that ‘Anything’s possible’. Southern Design was proud to support the event by helping the organisers with the production of all digital and print assets, working closely with marketing to build excitement for the event.